Moving home is a stressful business. From delays and collapsed chains to budget worries and broken boilers, moving home can be the most stressful thing you ever do. But with some key preparation and planning, much of this stress can be eradicated. Here are Ellis & Co's top tips for making that move to a new home as straightforward as possible. Your conveyancer holds the key (excuse the pun) to a quick and hassle-free move. So, choosing the right solicitor is absolutely crucial very early in the sales process. A good solicitor will help ensure your move stays on track as well as making sure everything to do with your purchase is legally sound. Property is a huge investment, so a good service from a professional conveyancer is priceless. While, as a buyer, you will be well aware of the purchase price of your new home, it can be easy to forget about all the other expenses that come with buying a home. Here it can pay to work out your budget early on. Compare pricing for solicitors, surveys and removals to find a nice balance between price and quality. Put everything down on a spreadsheet so you know how much your move is going to cost and where you can potentially make savings. What do you mean you need to 'take everything'?! A ruthless streak can pay off when buying a home and that includes when it comes to your own belongings. 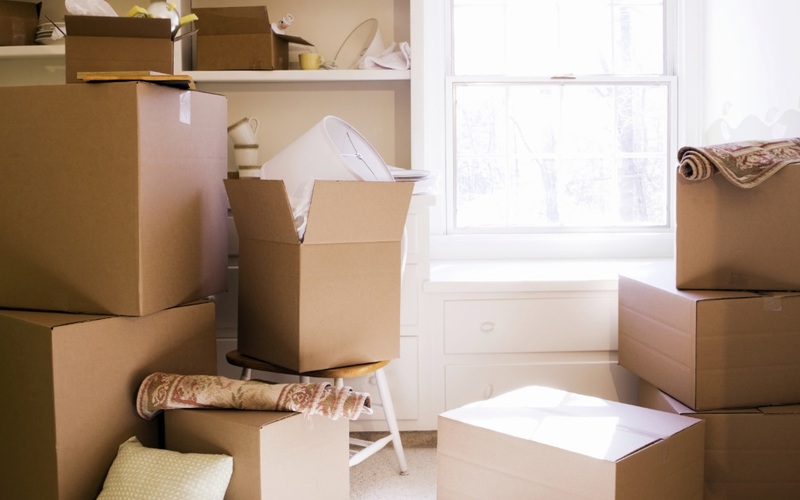 Moving home can be an ideal time to cut back on clutter. Firstly, it could save you money when it comes to removals and, secondly, getting rid of things you don't really need means fewer boxes to open as you settle in to your new property. Most house purchases encounter one or two issues along the way. It is a complex process, involving many different people and vast sums of money. A few hiccups or problems on the journey are common. You should prepare yourself for this in advance and aim to be flexible. If something crops up that delays a certain task during the process, take a breath and move on to the next thing, reorganising your task list as you go. Granted, for those of you moving a long distance, this is not always possible. But spending some time in your new town, city or village can help the moving process seem less overwhelming. Perhaps you have lived in one place all your life, or have been in the same house for a long period of time. Suddenly moving to a new house or area takes some adjustment. But visiting your new postcode can help take the edge off before moving day. Most people plug in the TV as soon as they arrive in their new home. But if you've ever looked behind your TV before, you'll know it's a mass of wiring and cables. So, finding the one you need to get the box working in your new home might not be so easy among the masses of boxes. Use coloured stickers to match up cables with their devices. You'll be surprised how much time and stress this saves! Getting through moving day requires patience, calm and clear thinking and tea or coffee! That's for most people anyway. But whatever your liquid of choice, make sure you have a bag of supplies that you can put your hand on when needed during the day. Your kit might include toiletries, a phone charger, bottles of water or hot drink flasks, as well as a change of clothes and a wash kit. Once you are all moved in, tiredness kicks in quickly so having crucial items to hand means you can rest up without having to open a dozen boxes to find your toothbrush before hitting the sack. Even you have undertaken that purge of belongings we mentioned earlier, you'll almost certainly still have more 'stuff' than you think. While moving your entire world yourself can save a few pennies, the added stress and workload on a day already brimming with both means hiring a removals firm can be well worth the spend. A good removals company may also be able to provide a packing service, saving even more time and energy on the lead up to moving day. Before you move, arrange an online food delivery for day two at your new home. Most movers tuck in to a well-earned takeaway and bottle of wine on the first night in their new property. But the realisation of an empty fridge on day two can mean an unwanted trip to the shops with tiredness still very much in the ascendancy. Almost all supermarkets offer a home delivery service so sorting out your grocery order a week before moving day is possible, meaning all you have to do is plug in the fridge freezer and put the tasty delights inside! If you have any questions about the moving home process, feel free to contact your local Ellis & Co branch.